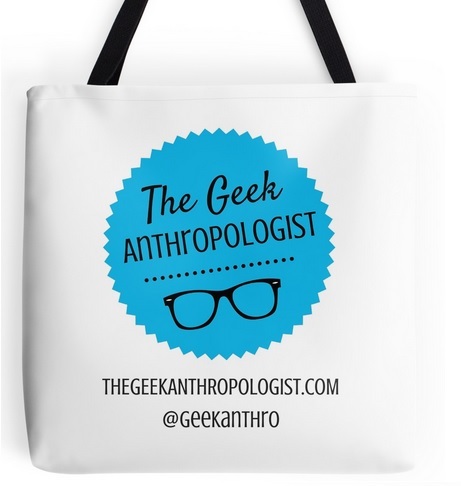 This post is part of the Anthropology Blogging 101 series. In this edition of Anthropology Blogging, we welcome Erin Taylor, Managing Editor at PopAnth. Could you tell us a little about PopAnth and yourself? PopAnth: Hot Buttered Humanity is a website that publishes short anthropological articles and book reviews that are written for a general audience (not for academics!). It was launched in September 2012 and is completely run by a team of volunteer anthropologists. Since we launched in September 2012 we’ve published 153 articles and 20 book reviews by 67 authors and had a few hundred thousand readers. Our articles cover a huge range of topics drawn from the “four fields”, including nulture, the archaeology of charity shops, comedy in Amazon product reviews, and the anthropology of wine production. That’s just a taster. I’ve noticed that anthropologists tend to send us all kinds of weird and wonderful material that they can’t really publish in standard venues. As the Managing Editor, it’s my job to coordinate the editorial work and make sure that articles get published. Our Section Editors do a lot of author liaison, and our Writing Coach (John McCreery) plays a huge mentoring role for both new and established authors. For my day job, I’m a Research Fellow at the University of Lisbon in Portugal, and I’ve been there since July 2011. I spend my time researching poverty, material culture, and money in Haiti and the Dominican Republic, although in the last year or two I’ve been expanding more into global consumer finance issues, especially digital finance and product mobility. Before that I was a lecturer at the University of Sydney, Australia, where I earned my PhD. It seems like PopAnth emerged out of the Open Anthropology Cooperative. What did PopAnth want to accomplish that couldn’t be done through the Open Anthropology Cooperative? PopAnth did indeed spring from a conversation on the OAC. Greg Downey of the PLOS Neuroanthropology blog commented, “I think we have to practice DOING accessible, popular writing and see what works.” In other words: stop talking about it and get moving! Gawain Lynch took this as a challenge, and fifteen minutes later had founded the PopAnth website and social media accounts. PopAnth is completely different from the OAC. Whereas the OAC is a space for anthropologists to discuss issues and academic papers, PopAnth only publishes articles that are written for a general audience. The PopAnth description talks about translating anthropology’s collective knowledge for mainstream audiences. Why do you think that it’s important for anthropology to reach readers beyond the discipline? First, I support the idea of sharing academic knowledge generally. Second, I find that people love the kinds of stories we tell, but don’t know where to find them. This is despite the fact that there are now plenty of anthropologists communicating through mainstream media today. PopAnth works at helping people discover this material. We also provide a space for authors to experiment with their writing. Many of the stories we want to tell don’t fit into books or journal articles or even mainstream media. We publish experimental and offbeat work as well as more journalistic material to push the boundaries of what popular anthropology can be. Are the different sections on archaeology, contemporary culture, language and communication, and the human body as reflection of anthropology’s four sub-fields? Do you find that readers tend to gravitate towards certain sections or topics? Yes, we are modeled on a four fields approach, but we are pretty flexible with how we define them. For example, the Human Body section isn’t just for medical anthropology or forensic anthropology, it’s also for more contemporary pieces on embodiment and so on. Similarly, Language & Communication publishes way more than work by linguists. Our Archaeology section is more classic but we mostly publish archaeology of the present. Overall, though, Contemporary Culture attracts the most articles from authors and the most readers. I think this is probably because it’s the sub-field that is least represented in the media. Archaeologists, for example, have been media-savvy for a long time. What does your editorial process look like? What are the kinds of stories or perspectives you look for in submissions and how you do transform contributions into published posts? All article submissions go into the editorial system for a minimum of two weeks. During that time, editors comment on the articles. We have a team of 11 voluntary editors who can set their own work pace, and probably 4-6 of us will comment on any given article. Editorial discussion takes place in an open forum. Authors can join the discussion to debate points and ask questions. Then authors decide which of the editors’ comments they want to incorporate into their second draft. The main editorial consideration is that articles tell a cohesive story that reflects current anthropological knowledge and is genuinely written for a broad audience. Because we’re coming from a mentoring angle, we’ll work with authors for as long as it takes to get their article into shape. This is why we’re a good starting point for new authors as well as a place where more established writers can get exposure. Do you have any future plans for PopAnth? Are there particular goals or ideas you hope that the blog will accomplish in the next five to ten years? Yes. We really want to increase the geographic diversity of our author and reader base. So far we’re doing pretty well—our authors represent X countries and our readers X—but we think it’s important to retain diversity as a goal, since otherwise these kinds of sites tend to become dominated by North American and European anthropology. Currently we’re focusing on recruiting authors from around the world. We figure that they will share their articles on social media and attract readers from the places in which they live. Apart from that, we’re aiming for slow and steady growth. We feel that quality control, mentoring, and promoting popular anthropology generally are far more important than being the biggest site ever. Besides, we’re entirely staffed by volunteers, so working with PopAnth should be fun, not cut-throat. What role do you think PopAnth inhabits in the broader blogosphere? What role do you think it plays in the community of other anthropology blogs? Are there other models in journalism, blogging or ethnography that inspire the work on PopAnth? First off, PopAnth isn’t actually a blog. The content of a blog is generated by an individual or a small group, but we publish the work of many authors, which makes us more of a publishing platform. There are tonnes of fantastic anthropology blogs and publishing platforms out there, but even today, few of them are solely directed at a general audience. The exception would of course be Sapiens. Allegra also provides a lot of good content for the public. Some university-based blogs like the Leiden Anthropology Blog also do a really good job of outreach. A huge shout-out should go to Anthropology Works, who do their fantastic regular “Anthro in the News” report. Then, of course, you have more specialized sites like The Geek Anthropologist and with Neuroanthropology. There is far more anthropology in mainstream media, and this is the way it should be because we will get larger audiences by publishing in regular media venues. Various anthropologists have columns in Psychology Today. Barbara J. King publishes on NPR and many other places. Tanya Luhrmann writes reguarly for the NYT. The Conversation now has editions on four contients and publishes a lot of articles by anthropologists. Dylan Kerrigan has a column in the Trinidad and Tobago Guardian. How can anthropology platforms like PopAnth build communities and foster relationships not only between practicing anthropologists, but across disciplines and members of the public? The problem isn’t that we aren’t producing for the public. We are everywhere! The problem is that few people know that so much popular anthropology is out there or where to find it. I’ve long argued on Savage Minds and the American Anthro blog, for example, that we need to be pro-active in supporting each other’s work. If anthropologists want to help promote popular anthropology, the first step is to familiarize yourself with what’s out there. One way to begin is to follow one of PopAnth’s social media accounts (Twitter, Facebook, Google Plus, LinkedIn) since we mostly share other people’s work. Follow Anthropology Works to get a sense of just how often (a lot!) anthropologists are mentioned or quoted in the media. You can also download a compilation of popular anthropology that we put together for an installation at the 2014 AAA. Then, start sharing, writing, and connecting with other authors in academia and practice. PopAnth can be found on Facebook, Google +, and Twitter @PopAnth.